Kyiv police have strengthened security measures near the building of the Verkhovna Rada, Ukraine's parliament, due to a rally scheduled for November 7, according to the TV news service TSN. The security measures are more serious than those introduced three weeks ago, it reported. "[Traffic along] Hrushevskoho Street from the Dynamo Stadium to the Arsenalna metro station has been blocked since the morning. In addition, a checkpoint has been set near the Klovska metro station," the report says. 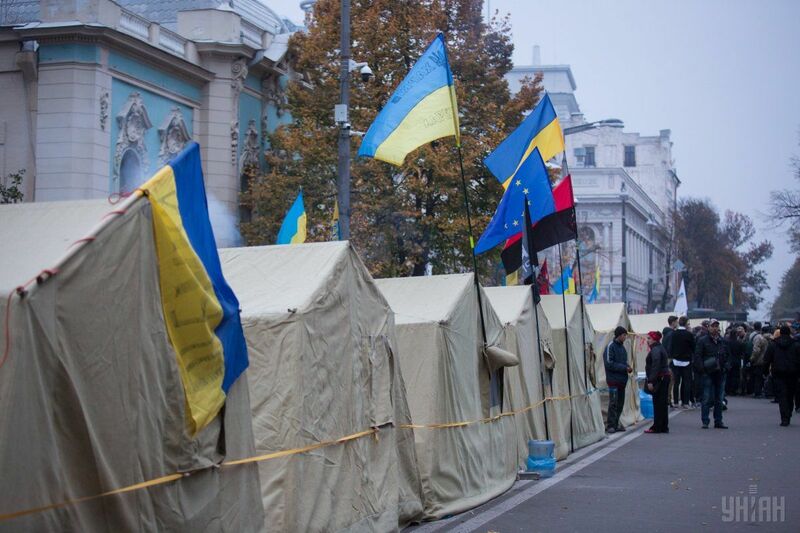 Read alsoSaakashvili announces new rally outside parliament's building in Kyiv on Nov 7As reported, a nonviolent rally on November 7 has been announced by protesters from the tent camp outside the Ukrainian parliament's building. A protest rally began outside the Verkhovna Rada on October 17, activists demand that the parliament abolish parliamentary immunity, create an Anti-Corruption Court, and change election legislation.